Just so you know, I almost passed out. Well, in short, President Obama had just appeared at Brian and Stephanie’s wedding, and I took a photo of them posing with POTUS. That is the calm, factual, out-of-body way to describe it. 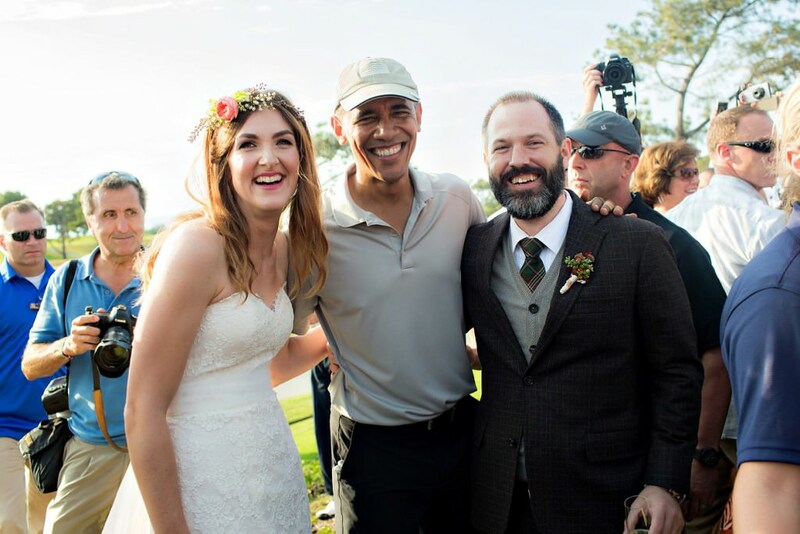 However, over on our wedding blog is the full story of the day President Obama crashed one of our weddings, from my perspective as the photographer. You should definitely read it before moving on. I posted that blog on October 12, 2015, the morning after the wedding. What is not included in that initial blog post is how this story went viral for the next 72 hours and how our image of our bride and groom with the President of the United States appeared (with our photo credit) on NBC Nightly News, the Today Show, and almost every major news outlet online including: CNN, MSNBC, The Huffington Post, ABC News, US Magazine, ET Online, and so many others! It's impossible to list them all here! No matter what important person, thing, or moment happens to fall right in front of you, so much of the entire experience comes down to your being prepared for lightning to strike. A few weeks ago, Jeff and I were at the same hotel here in San Diego where our POTUS experience happened, and we were recounting the story, talking about what we did well, what was so fun, and what we could have done better in the days that followed. It doesn’t matter who it is or what it is - sometimes really crazy and fun things happen to us as photographers!! Maybe Maroon 5 decides to film their music video at one of your weddings. Maybe the bride and groom accidentally fall into a fountain. Maybe the maid of honor performs a killer toast in rap. Maybe your couple's save-the-date video goes viral on YouTube. But one thing I've learned is that when internet lightning (of any kind) does decide to strike, you'll know immediately just how ready (or not-so-ready) you truly are. When President Obama decided to take a moment to shake hands with Brian and Stephanie's wedding guests and take a photo with the bride and groom, as their wedding photographers there are things that I think we did GREAT. I was so proud of how we handled the situation while it unfolded. We leapt into photographer-mode when the President showed up, and we knew exactly what to do when the key moments occurred. I was so thrilled about how we pushed the story the next day, and how we got the story to go viral within 24 hours of the event (as crazy as the moment was - the President crashing a wedding - this story simply would not have gone viral on it’s own). I couldn’t have been more giddy about how our photo credit remained intact, how our couple had so much FUN during the entire experience, and how they got to be featured on their favorite news outlets the day after their wedding (NBC Nightly News and the Today Show!). It was a wild ride that we couldn’t have ever anticipated, but our ten years of photographing weddings definitely prepared us for it! And over the past year, we have gotten so many questions from photographers of what the experience was like, how we handled it, and what would we do differently. So in honor of the one year anniversary of this crazy event, I thought that I would share what we did well and what I think we totally could have done better so that you can be that much more prepared when your lightning decides to strike! Every wedding that Jeff and I have photographed over the past ten years is been preparation for all of the future weddings we have yet to shoot. And when POTUS decided to pose for a photo with our couple, I was so thankful for our decade of experience that taught us to know exactly what we needed to do when the unexpected moment came to take a photo of a lifetime. Jeff and I have been in LOTS of crazy situations with our cameras, and most of them have actually happened while we’ve been shooting for our favorite non-profit organization in Latin America. Once or twice a year, Jeff and I travel to Central or South America and we spend a week documenting the city in which the organization is operating. It’s completely different than shooting weddings in that we have to wear our photojournalism hats instead of our wedding hats. During those trips, I am in charge of photographing the VIPs. I ride in the caravan with the organization leaders to the mayor’s office, the governor’s office, the military bases, the president’s halls, etc. During these trips, I’ve learned how to nail what I like to call ‘VIP Grip ‘n Grins’. These are smiling photos of important leaders shaking hands with other important leaders - mayors, governors, donors, and rock stars (literally - famous Latin pop artists). These photos will happen at any time, in any lighting situation, and in any location. I’ll be in a governor’s office by myself or at a press release in a crowd of reporters or backstage at a giant concert surrounded by crew, and then everyone will suddenly turn to me for a photo. I have seconds to grab critical images of these important people and nobody gives me a second chance. They rely on me, so seriously - I can’t mess it up. On the Day of Obama (that’s what I’m calling it), Jeff blurted into my earpiece over our radios that Brian and Stephanie were running down from their hotel suite to meet President Obama, and I immediately jumped into my ‘VIP Grip ’n Grin’ action mode. I had no time to think, but my instincts and muscle memory from these Latin American trips took over and I found myself changing my lens to our 35mm f/1.4L and dialing in my settings while shoving through the crowd to try and stop the presidential party from leaving (there's a first time for everything…). I 100% believe that it was our countless hours that we’ve spent behind the camera in stressful situations that allowed me to capture the images that I did instead of getting caught in the wrong place outside of the crowd (and letting a guest’s iPhone pic become the story of the day instead of ours). BREATHE. You may not realize it, but you’ll probably hold your breath and that will only heighten your nerves and fog up your brain. You need to think clearly - and not pass out - so remember to inhale and then let it out slowly. HOLD YOUR GROUND. Stick your elbows out. I’m being so serious. Don’t let ANYONE with another camera push you around. You have the one that matters and you can’t afford to get jostled out of place, so push your way into the place you need to be planted and stand your ground, my friend! KEEP IT PROFESH. Absolutely NO fangirl freak outs, mmmk? CHIMP ONCE. And only once to make sure your exposure is dialed in. If you don’t, your camera could have gotten jostled in the madness, and you could be accidentally shooting at f/1.2 and not know it. Any more chimping than that and you WILL miss a moment. What else did we do right in the moment? Jeff and I have used radios on wedding days for years, and they have become integral to our process. We can communicate across big hotel properties and within silent churches instantly, and they were KEY during our encounter with POTUS. As you read in the blog post, if we hadn’t have been able to communicate with one another, Brian and Stephanie wouldn’t have taken the chance of a lifetime to run down and meet the President because they couldn’t tell what was going on from up in the room. And calling me on a cell phone? Do you really think I would have felt my cell phone buzz in that craziness? Ummm, NO. The radios we use (and love!) are Motorola BPR40, the UHF version. The best part of this story is that Jeff was upstairs capturing the full story of Bryan and Stephanie. So many people have told us that this is what makes the whole thing so much more remarkable. A photo with President Obama is wonderful, but the photos of everyone freaking out before and after that photo are what makes it so meaningful. Do what you can to be in the right places to document the FULL story. Former White House photographer, Ralph Alswang, once quoted Robert Capa to us, saying, “If your images aren’t good enough, you aren’t close enough.” Get in on the action, my friends. Step IN. Yes, I consciously broke the cardinal rule of photojournalism - I put myself into the story instead of staying outside of it. President Obama was going down the line of people shaking hands, and it struck me that I had the opportunity to do the same. So I dropped my camera by my side, got in line, and I shook his hand. It was a bucket list moment that I simply couldn’t pass up, and I don’t regret it ONE BIT. The next morning, I woke up a LOT earlier than usual the day after shooting a wedding, and I wrote the blog post that outlined the full story of the experience and posted it along with the images as early as I could since we were on the west coast. I posted it to Instagram and Facebook and started spreading the images as soon as I could so that we could be the ones to break the story and share the images first. 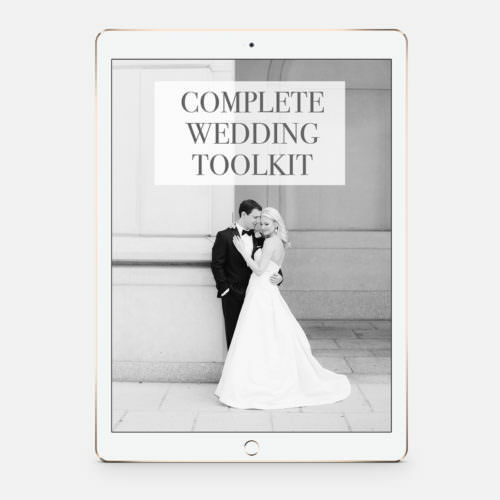 Next, we sent the blog post to the couple and all of the vendors involved at the wedding, and then passed it on to all of the contacts that we knew at places like HuffPost, Brides.com, NBC, and of course the local newspaper. Lester Holt at NBC Nightly News picked up the story that day, and once the story and images aired on the east coast on NBC, every news outlet came looking for the story and the phone started ringing off the hook! It was critical for us to have our materials ready, because everyone wanted the images FAST. This is something that we were kind of prepared for... but definitely not as much as we thought! With every email and phone call, we directed the media to the blog post so that we could drive traffic to our website as well as do our best to ensure that the story remained as accurate as possible (we would point to my blog post as the true story when a website wrote something completely off base). Also, most online outlets could also grab the watermarked images directly from the blog post, which made things super easy. For TV however, they needed un-watermarked images on which they could overlay the photo credit with their own graphics. We didn’t think of this at first, so we had to quickly throw together a dropbox folder with the images organized into several different sizes - all with the east coast news deadlines looming. 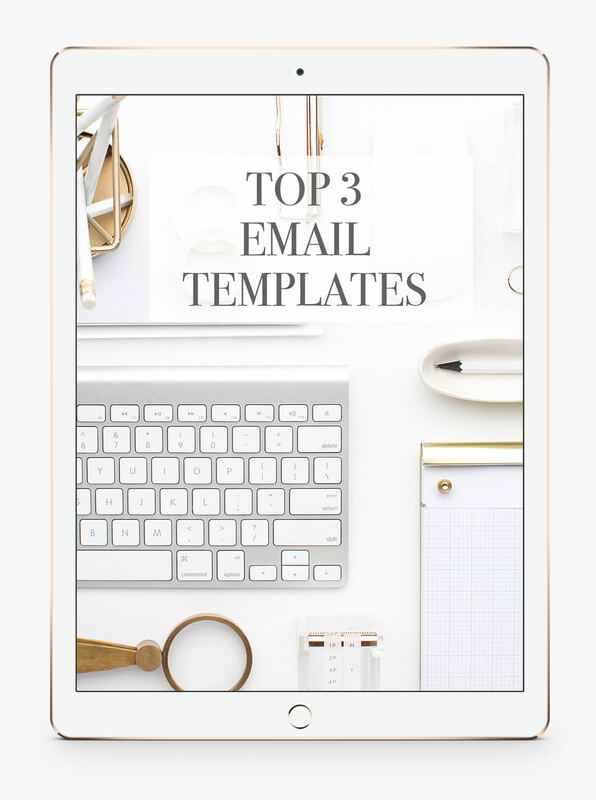 We also quickly realized that we had to respond to the incoming emails FAST, so we consolidated all of the necessary information together into an email template. Once we had that in place, we could send an email within seconds that contained everything any media outlet needed to know about the links, the images, the couple, the blog post and as well as all of our proper photo credits and contact information. 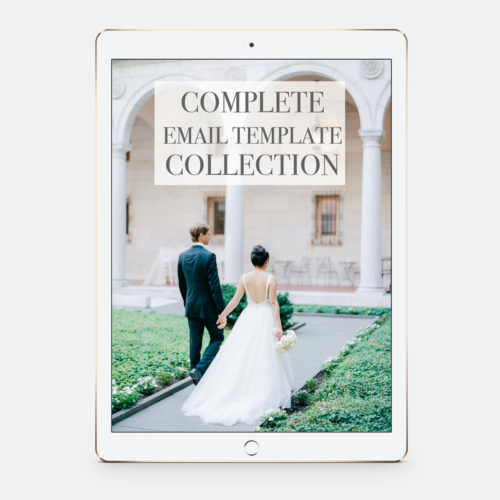 The email template and the blog post turned out to be the best things we did to manage the process! If this ever happens again - LOL - then I would create the email and the Dropbox folder immediately after the blog post to be more prepared! 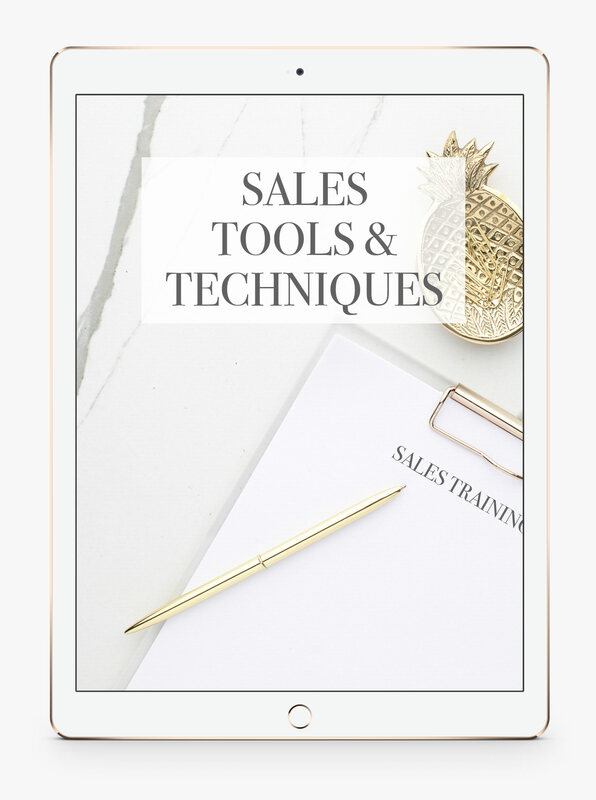 As all of the web traffic came rolling in, though, Jeff and I soon realized that we had made one critical mistake - we had brought a lot of traffic to the post, but we didn’t have any calls to action to sign up for our email list or capture those leads. 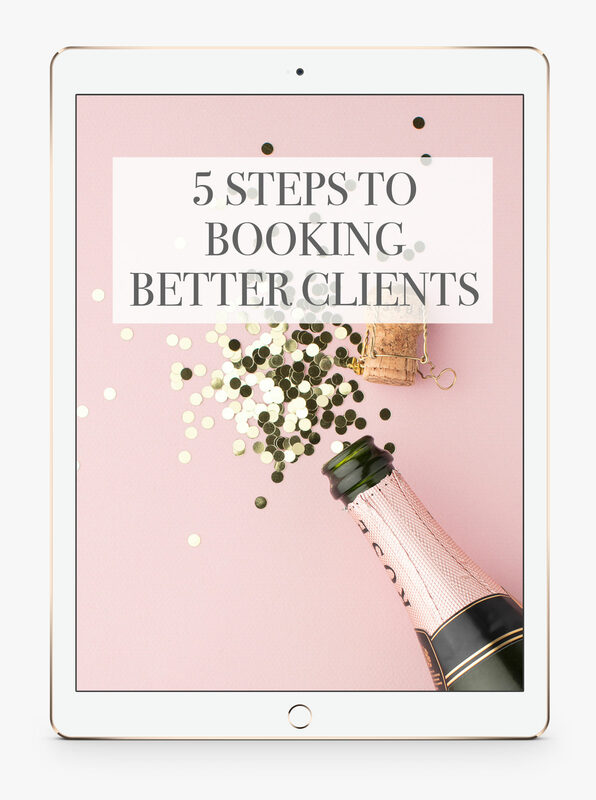 Of course, this story wasn’t bringing us super qualified leads for our wedding photography business, but we still regretted not having more ways of capturing a larger audience already dialed on our site when the lightning struck. We would have liked to have email subscriptions more dialed in on our website and have better calls to action at the bottom of the post. But once the ball was rolling, we didn't want to change things about the post or the website in the middle of the surge. We thought about adding a popup to our website during the period, but we decided against implementing anything radically new because we didn’t want our website to go down or show errors during a time when it absolutely couldn’t. We decided to just lock it down, and let it ride. Having a model release automatically included in our wedding contract with Brian and Stephanie allowed us to share the images online immediately without any delay. Of course, we talked with Brian and Stephanie throughout the entire process and kept close tabs on how they were handling the situation - it's their story after all! 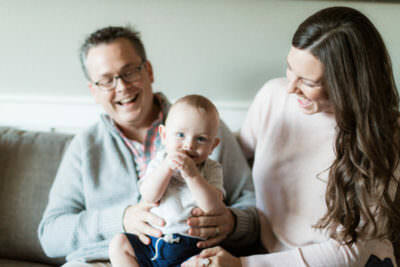 While Jeff and I have been through (much smaller) versions of viral online media, it was a completely new experience for these two, and our #1 priority was to make sure the experience was FUN and JOYFUL for them. As soon as things got a little tiring or overwhelming, we pulled back and let them enjoy their honeymoon! 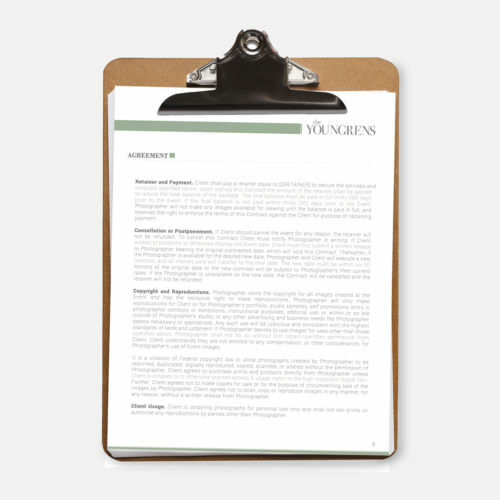 If you don't have a model release built into your contract right now, then it's something you should definitely get! Having a caching plugin or CDN (content delivery network) like Cloudflare or W3 Total Cache was KEY in our website performance when the online traffic went crazy! We also have our website hosted with Imagely who offers managed Wordpress hosting which is critical with big spikes of traffic like this! The worst thing that could have happened was our website crashing or going down in the middle of the online surge, so we were so thankful that our website was dialed in for optimal performance BEFORE the moment happened. We didn't sweat the small stuff. Obviously this story is about a political figure that many people love and many people don’t love, so there were plenty of negative comments that were made wherever the images were posted. 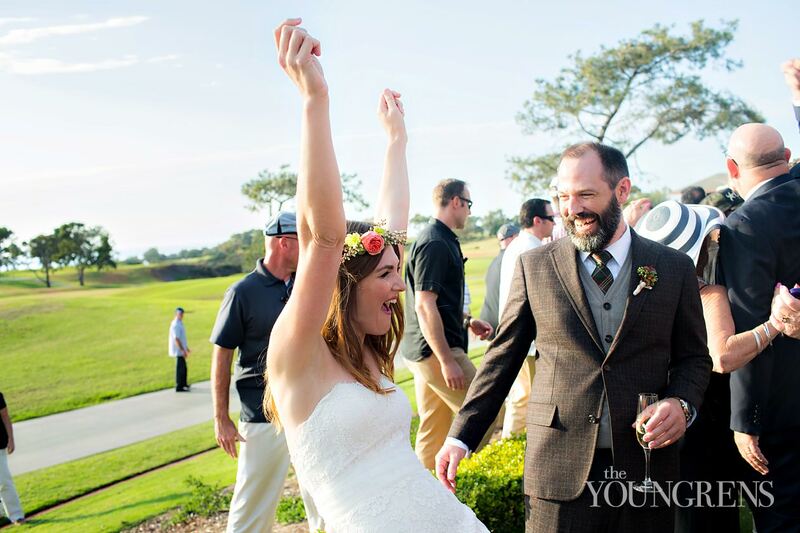 However, they didn’t dampen the JOY that our couple had during this experience. They loved every bit of it, and we checked in with them often about all of the publicity to make sure they were having fun. 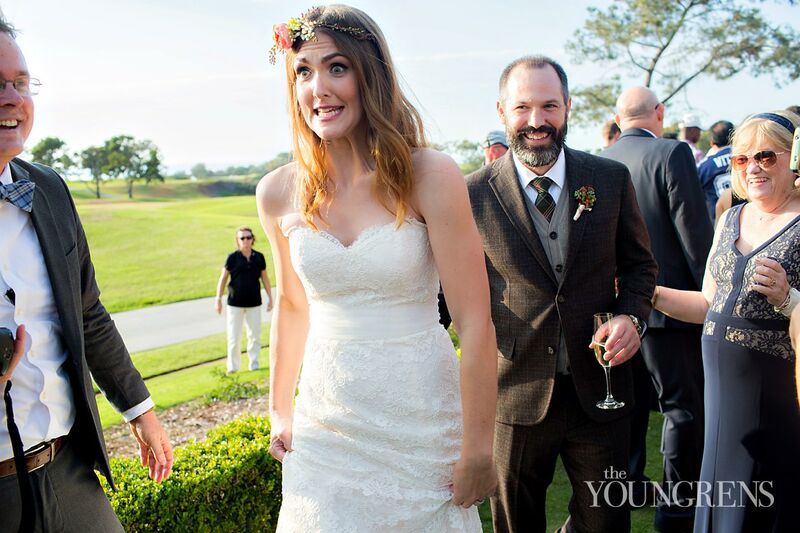 We made sure to focus on joy, because the story was about our couple and the incredible moment that happened on their wedding day - not us and certainly not politics! Did our business skyrocket after meeting the President of the United States? No. Did we directly book any weddings because of this experience? No. Was it totally insanely fun? YES!! If you're ever in the middle of something like this, remember to keep it joyful and keep it fun. This was an amazing experience, but we knew that, in the end, it probably wouldn't impact the bottom line of our business in a major way. Once the news cycle moved on, Jeff and I still had our daily work to do, and we've spent this past year shooting wonderful Dreamie couples that didn't find us through the news but found us through our networks and our day to day marketing. In the end, it's not going to be a big crazy fun viral story that will build your dream business. It's going to be your hard work and your dedication to your WHY and your purpose that will. But if that big crazy fun viral story happens to you, then definitely be as prepared as possible and enjoy the ride!